Situated on the banks and by the outlet of the river Arno, it had been one important Republic of the Sea and spreaded its power out to Corsica isle. Its decadence has been determined by both the rivalry with other cities belonging to the inland (Lucca and Florence) and, most of all, by the clash with Genova, another Republic of the Sea and a "dangerous" rival in oriental trading. 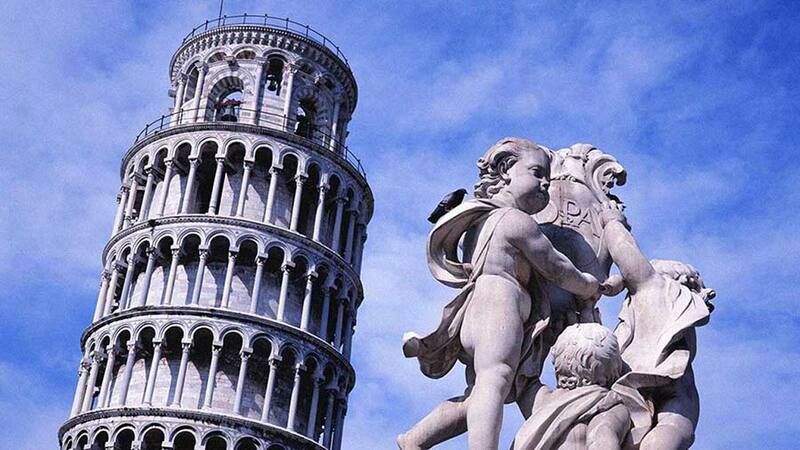 Its artistic estate is mostly in Miracles' Square where you can admire the Cathedral, the baptistery and especially the bell tower, known all over the world as the "Leaning Tower". Another important monument is the Church St. Maria della Spina, recently restored, on the Arno's riverside. Seat of an ancient and esteemed University, it also has an airport connected with the most important cities in the world. Its province comprehends 39 towns and stretches from the hills Mellifere to the Arno's estuary in whose alluvial valley are centred many important economic activities.